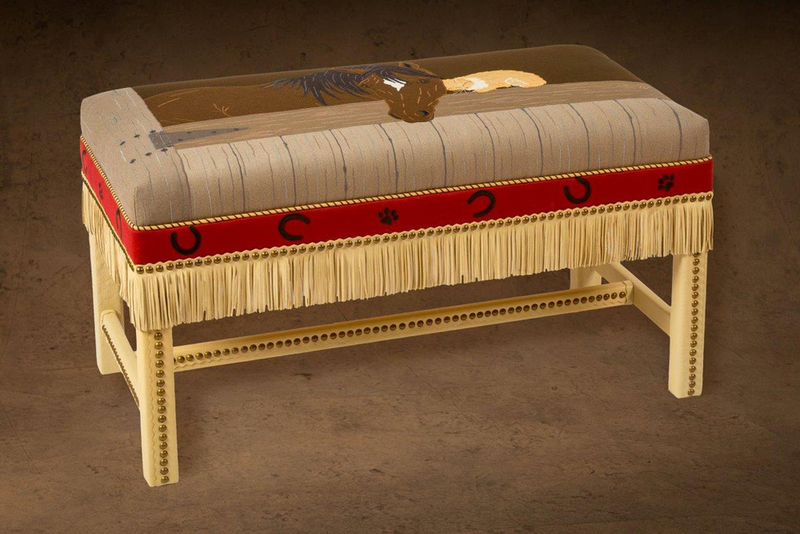 Appliquéd and embroidered wool gabardine bench. Leather wrapped legs and rails. Accented with elaborate nail head application and leather fringe.